Previous careers in finance, business, IT and sales are seen as useful for new agents to hit the ground running in real estate. Real estate agents would like to see the barriers raised for entry into real estate and for part-timers and hobbyists to leave the industry. Survey respondents believe that more younger, active agents will have to get more involved in the industry to create this change, as the powers that be are not doing enough at the moment. Continuing education, especially in the first year, is seen as an important way to raise the status of the real estate industry. Among respondents, close to 50 percent were working 50 hours or more every week. A number of people said they “force themselves” to take a day off a week and need to hire an assistant. Perhaps there are some days when former executives rue leaving that cushy corporate job for an uncertain career in real estate, where public perception leaves something to be desired. But they have found good reason to stick around. 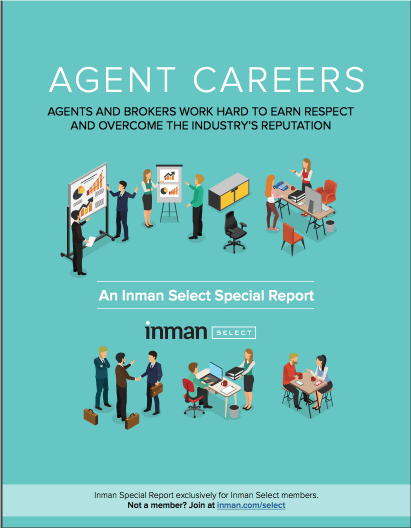 This survey, which asked participants, “How serious are you about your real estate career?” reveals that real estate agents and brokers are no academic slouches, and most love what they do, regardless of how they got here.